Are Concessions Part of the Sales Price? Everyone understands that the purpose of a professional appraisal is to determine the actual value of the property. There are many reasons why appraisals are ordered but the most common reason is to determine the actual value of a property for a new home loan. When a home is sold, both buyer and seller agree on a sales price and enter into a contract for sale. At this point the buyer’s lender orders an independent appraisal to review the sales price and ensure it reflects the true value of the home. The lender wants to confirm that in the event the borrower defaults on the loan, that they can sell the property and recoup their losses. It’s a function of their risk management program. One of the least understood aspects of the appraisal process is how concessions are treated in the final value. Concessions are simply defined as a monetary contribution by the seller to the buyer. Seller concessions have taken many different forms over the years; anything from money to replace old carpets to appliances have been popular and the buyer would receive a check at closing to pay for these items. Today, the most common concession is for closing costs. A buyer can save out-of-pocket dollars by asking the seller to assume the cost of some of the buyer’s closing costs. In essence, the buyer is “financing” the cost of the loan by rolling this cost into the final home loan. The seller agrees to sell their property for $200,000. The buyer’s closing costs are $4000. Rather than pay the $4000 from their savings, the buyer asks the seller to pay them and add this to the sales price. This results in a final sales price on the contract of $204,000. In this case, the lender is asked to approve a sales price which is $4000 higher than the actual amount the buyer is willing to pay for the home. Tasked with creating an appraisal that accurately reflects the true value of the property, it’s important for all parties to understand how concessions are treated during the appraisal valuation. When considering the stated concessions, the appraiser needs to understand whether they are truly part of the sales price or not. If it’s determined that the concession, or lack thereof, would change the value of the property, then adjustments to the final value is made. One example would be a concession for damaged carpet or paint. In this case, the seller is giving the buyer a dollar amount to allow the buyer to bring the home up to a better condition. Clearly this implies that without the credit, the property is not worth what the buyer is paying and this type of concession should be adjusted in the current valuation. During the boom of the early 1990s, sellers were providing credits for a wide variety of items and with property values on the rise, lenders were less concerned with the risk these kinds of credits created. With the stabilization of the real estate market, most lenders will not allow property improvement credits at all, so these are increasingly rare. To compensate for the new regulations, sellers will offer a “closing cost” credit instead, even if the purpose is to allow for less-than-perfect property condition. So how does the appraisal handle the closing cost credit on the final valuation? The simple answer is it varies. The purpose of the appraisal is to provide the lender with the current value of a property as accurately as possible. To determine the impact of a closing cost concession, they must first decide if the credit is really part of the purchase price or not. One of the easiest ways to do this is to see how sales commissions are determined. If commissions are paid after removing concessions, then it’s clear the parties do not consider this number as part of the sales price and an adjustment is made. Every real estate market is local and its common for the division to vary from one part of the country to the other. An appraiser must consider the customary division when determining whether to adjust for concessions or not. I have noticed a lot of comments in our MLS listings lately stating, “Commission to be paid after all PPCC” or some such term. Closings costs wrapped into the sale price are becoming more common. (More on this topic in another post.) However, reporting concessions happens about 70% of the time at my best estimate. It’s a double standard: they aren’t considered a part of the sale for commission purposes, but they are being reported in the sale price, which falsely inflates the numbers. I would love to hear your comments on this. Please post any thoughts you might have below. As always, thank you for letting the Moore Appraisal Firm be your residential and commercial appraisal experts. Shaun, this makes no sense to me. This is becoming a big issue. We now have a field to report seller concessions in MLS at your request. Had I known this would be the result, I would have voted against adding the field. It is not relevant information. If the lender is okay with buyers financing in their costs, why should the appraisers care? Some agents are reporting seller concessions, some aren’t. Some appraisers are subtracting out, some aren’t. The bottom line to me is that regardless of whether buyer costs were financed, the property still sold (and presumably appraised) for that price. That’s market value. Willing buyer, willing seller. The issue of commissions is irrelevant. 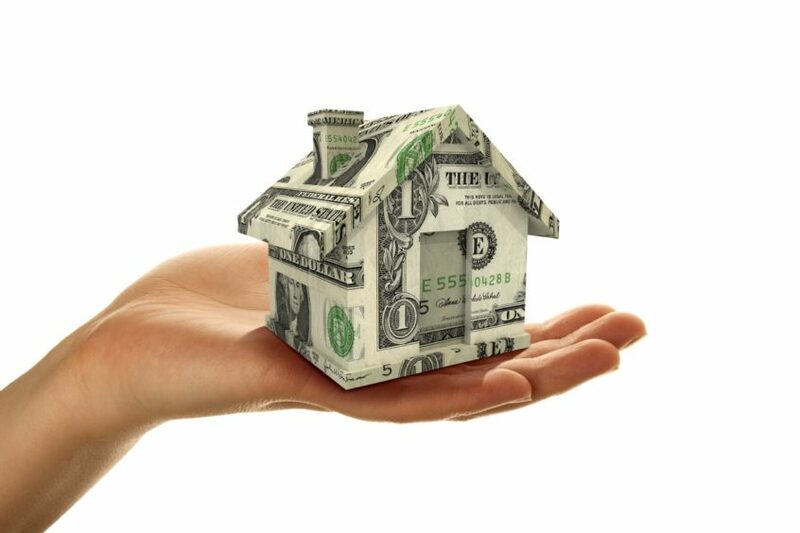 Should appraisers adjust based on the amount of commission charged? For example, should the appraiser adjust up if I only charge 1% to broker a transaction when all the other comps are 5% or 6%? Hi Mark, thank you for your comment. I agree, this has become an issue. First off, I want to clarify one thing: appraised values are never adjusted for concessions. The appraised value should never be discounted for closing costs, or any other sort of concession being made in a transaction. Market value is market value, regardless of concessions or commissions. The adjustments we are talking about are for comparable sales. A willing buyer and willing seller is only part of the equation for market value. It’s an important part, but we also have to consider the motivations of each party, and whether either is acting under duress. We also assume both parties are knowledgeable in the market. I don’t recall the concessions field being part of what I requested. I could be wrong. The field I requested to report was the conditions of sale (arms-length, non arms-length, estate, etc..) and this is important as well, for reasons I’ll explain in a minute. Let me give you just one example on the concessions though. Say there were three identical houses on the same block, all having sold in the past few months. House #1 sold for $200,000, no concessions. House #2 sold for $200,000, no concessions. House #3 sold for $205,000, seller paid $5,000 in buyer’s closing costs that they then wrapped into their loan. Is house #3 really worth more than the other two? Let me know if you want to discuss it further. Here, or in the office. Thanks again.